The design concept relies on the performance benefits of a rainscreen, which is a gap behind cladding that facilitates drainage and drying. 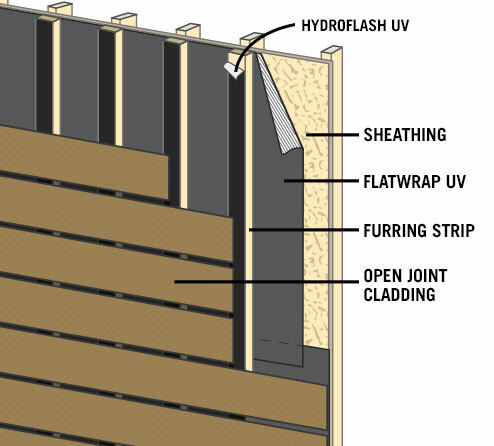 The downside of the open joint design is that areas of the water-resistive barrier are left exposed to sunlight. 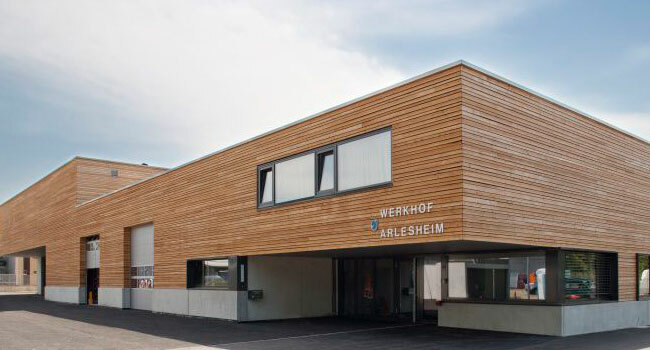 Therefore, a black housewrap enhanced with UV resistance is a perfect component for an open joint rainscreen cladding system. 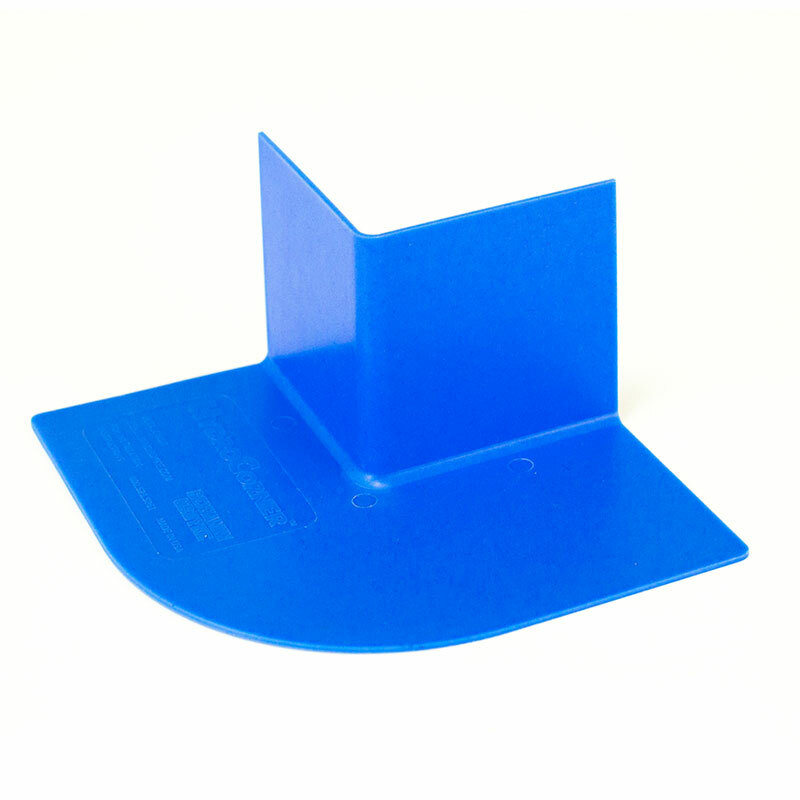 For the primary WRB, we recommend using UV enhanced WRB that has an unprinted, tri-laminate substrate. Make sure to also incorporate system accessories like black flashing that is compatible with the house wrap and stays hidden once installed. 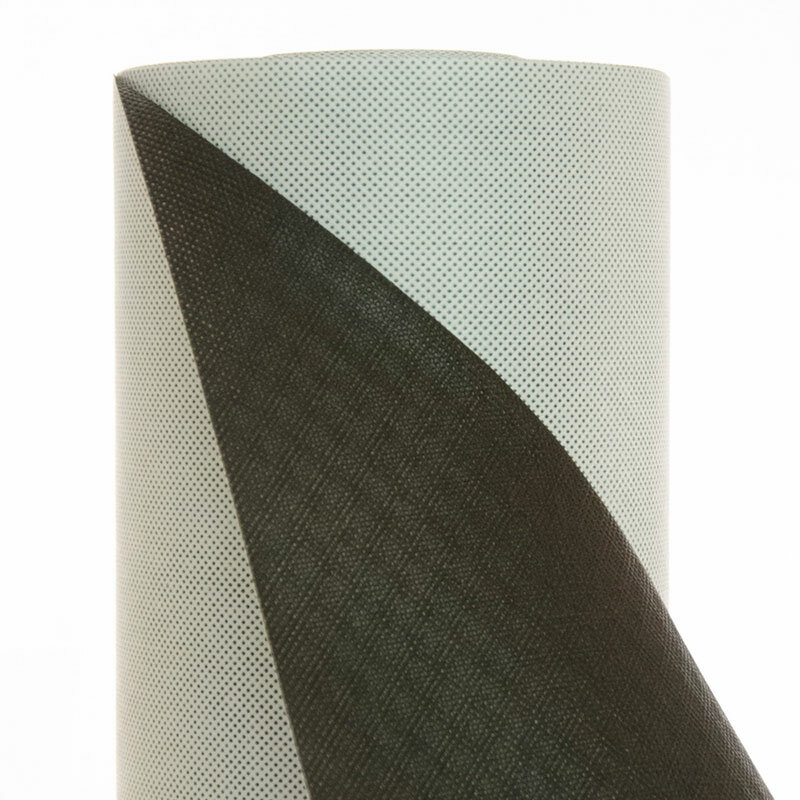 If using furring strips to attach the open joint panels or planks, consider covering the surface of the furring strip with black self-adhered flashing to ensure the furring is also invisible once installed. 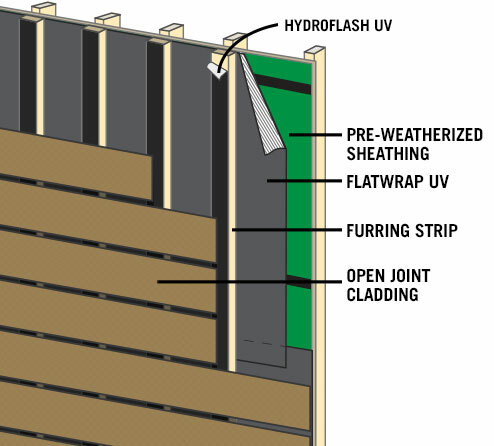 When using a pre-weatherized sheathing, like Huber's Zip System®, you can add a UV enhanced WRB that has an unprinted, black substrate in order to hide the preweatherized panels. The application is then exactly the same as if you were installing over regular OSB sheathing. Strength & durability matter when it comes to protecting your sheathing. Stucco & masonry products have chemicals in them that can cause inferior WRB's and building paper to deteriorate overtime. 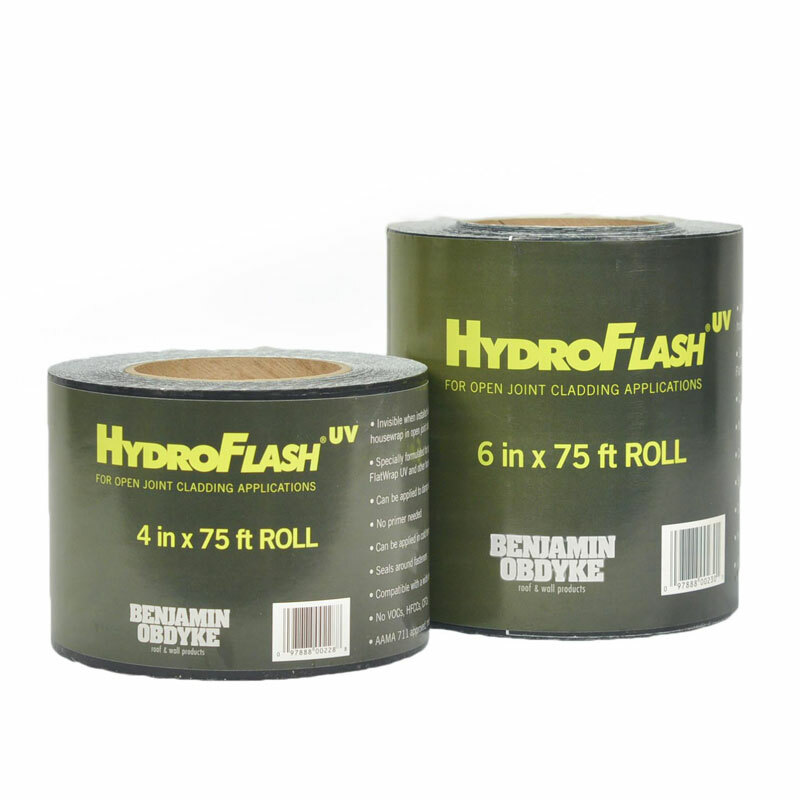 FlatWrap HP is a tri-laminate wrap that protects the important water holdout film by sandwiching it between 2 layers of a premium non-woven wrap. Its durability can withstand the rugged installation that's typical of stucco applications.